Disclosure: Ultiworld Disc Golf was compensated for publishing this article. 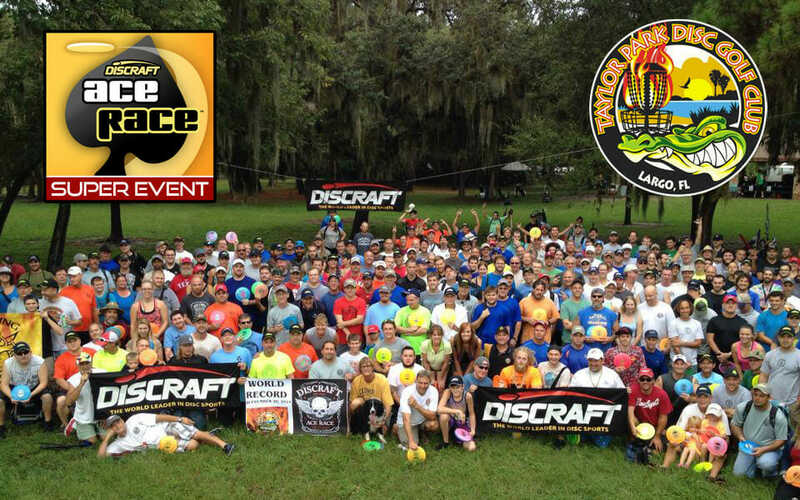 Learn more about Discraft’s Ace Race and register your event at DiscGolfAceRace.com. That’s how it started, and how it continues today. Now in its 15th year, the Discraft Ace Race has made a significant impact on disc golf, to the tune of 250,000 total participants since the first players were running chains in 2003. Most avid disc golfers have played in at least one Discraft Ace Race. Hundreds of events are held on courses around the world each year in August, September, and October, and the concept is simple: All players throw the same prototype disc created specifically for the event. There is no putting, no approaching — just running chains. Holes are often shortened to give everyone a good chance, and the player with the most aces and/or metal hits wins. If the players like the prototype disc, it will eventually be released into the Discraft lineup. And then there is the player pack. For their $30 entry fee (or up to $45 outside of the US), all players get a goodie bag valued at no less than $60. The 2017 pack includes two identical 2017 Ace Race prototype drivers, a t-shirt, Mini Buzzz, a Snap Cap micro mini, and a sticker. Event directors are motivated by the ease of running the event, and by the funds that can be raised for course improvements, player amenities, charity efforts, or to pay for their time as an organizer. Many Ace Race event directors have never run a tournament before. In most cases, once an event is scheduled it is protected by a 30-mile buffer zone to avoid competition for players. “When buffer zone conflicts occur, we encourage them to work together,” Sullivan explained. “One huge local event is way more fun for the players than two or three small ones. Plus, bigger events get bigger prizes.” When working together isn’t an option, a previously registered event can give the OK to allow another Ace Race inside its buffer zone. Events are required to have a minimum of 20 players, but they can get much, much bigger: Tournament Director Mark Bailey and the Taylor Park Disc Golf Club in Largo, Florida, hit consecutive records in 2014 and 2015, hosting 380 and 385 players. For more information on finding your local Ace Race or hosting your own, visit discgolfacerace.com. Comments on "Discraft Ace Race Surpasses 250,000 Player Mark"